Six consecutive years of full funding is just one of Ian McKnight’s qualifications for this list. The Royal Mail CIO got his start in consulting at Watson Wyatt, moving to KPMG and Lane Clark & Peacock before earning his executive stripes at Morgan Stanley Investment Management. In the past year, Royal Mail’s direct alternatives program has grown to more than $1 billion, and the UK parcel carrier’s interest rates and inflation exposures are now fully hedged in case 2019 brings the now-expected start of a downturn. While the “natural cynic” is worried about shocks in the pursuit of alpha, he advises his peers stay humble on their journey to the top. 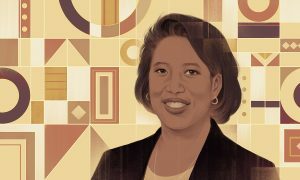 McKnight enjoys the helicopter view of the capital markets, and says the best part of the job is making a positive impact on social issues as well as being accessible to the world’s biggest investors. He is looking forward to the continuing focus on good governance, and is seeing a lot of innovation on Royal Mail’s DC team. CIO: What are the accomplishments you are most happy to have achieved recently, and why? McKnight: Delivering full funding for 6 years of additional accrual promised by Royal Mail to its people in 2012. This was mathematically stretching and yet the strategy and manager performance have combined to deliver a superb result – so much so that our return-seeking portfolio has not have a negative quarter in the 6 year period, assisted by the use of derivative overlays from time to time, and achieved this with a return of twice our target, within risk budget, and a truly remarkable Sharpe Ratio (risk adjusted return) of just under 3, with interest rates and inflation exposures now fully hedged (previously “pre-hedged”). We also concluded a c£500m buy-in for the Post Office last year, on what I considered to be very attractive terms for that Section. I’ve been most delighted by our evolved >$1bn direct alternatives programme, built out over the past 5 years, which has delivered practically zero correlation to the rest of the portfolio whilst meeting its return targets in a tough market for “alpha”. This is somewhat contrary to market sentiment on absolute return funds during that period. CIO: What would you be most excited to accomplish in the year ahead, and why? McKnight: We have a new tranche of accrual which started on 1st April, and success would be for that to start well (it always helps! ), adding value to those contributions, against what I consider to be a challenging market outlook, and building out the new portfolio in a thoughtful way. I would also like to see good progress in our gilt-substitution strategies. Selling gilts at these yields after years of buying would be immensely satisfying. 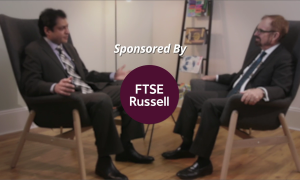 CIO: What’s the most rewarding aspect of being an asset owner? McKnight: The chance to really make a positive difference in terms of social duty, and the access we get to the world’s top investors. As CIO, you also get a helicopter view of the capital markets, and get the best perspectives from genuine specialists in each area. Bringing that all together into a coherent strategy, and taking your Board with you, is immensely rewarding both professionally and personally. CIO: What’s the most challenging? McKnight: Juggling all the things you would like to do. There just aren’t enough hours in a day, and prioritising among a host of good ideas can be both challenging and frustrating. But ultimately, focusing on the big ticket decisions is what makes a difference and avoids any temptation to “tinker” which I consider to be generally an unhelpful pursuit. I also consider the fee cap on DC scheme default strategies to be a restrictive fools’ errand and misguided. Combined with unnecessary liquidity requirements for such strategies, it restricts Trustees’ abilities to add long-term value for those members quite significantly. CIO: What are you most hopeful about in the future of the industry? McKnight: I am optimistic about the renewed focus on good governance and the continued move to professionalisation of decision making. Some of the developments I’ve seen from our own DC team have been genuinely innovative and lead me to believe that the c50% of occupational pension scheme members in that bracket will be better catered for in future than perhaps they have been previously. CIO: What are you most cautious about? McKnight: As a natural cynic, I’m cautious about just about everything. However, stretched equity and credit valuations concern me. There is also a sea of money piling into private debt, and there must be bubbles brewing all over the markets at the moment. The often opaque mechanisms for the transfer of Quantitative Easing (“QE”) to asset values, and therefore its unwind, should also surely weigh heavy on many investors’ minds. We are generally positioning for some sort of shock whilst trying to participate in any upside where possible, and leaving plenty of dry powder to exploit future opportunities as they present. CIO: As a leader, what are the most important aspects of the industry you hope to change over your career? McKnight: I would like to see more pension schemes embrace our Executive “open-architecture” governance model to cost-effectively speed up bespoke decision making. Pooling must be a good thing in that regard, and I’d like to see the private sector up its game and further develop the work the Local Authority market has been undertaking on achieving better governance and realizing economies of genuine scale. In the UK, we are currently behind countries such as Canada, Australia and the Netherlands in this regard. But I think as a market, we are quick studies. I’d also like to see better alignment in fee structures between pension schemes and their providers. CIO: If you had one piece of advice for your peers, what would it be? McKnight: Stay humble, as you’re only as good as your next big decision. The minute you start to believe your own hype, you’ve already lost. McKnight: I am staggered by the continued love-in with low volatility (“low vol”) equities, and to a lesser extent, risk factors. Like multinational/equal weighted indices, 130/30 funds etc before it, this reeks of a fad. Also, I wouldn’t bet against them being the first “factor” to sell off when the bond substitution trade unwinds…It’s low vol…until it’s NOT low vol! The acceleration in the impact of disruptive technologies, more generally, but also within the pension and investment sphere, is also remarkable. For instance, in China, cash is now hardly used, with “wechat-pay” etc the preferred medium of exchange…seemingly bypassing the west’s credit card reliance altogether! How does that impact retail credit markets in future? Amazing.